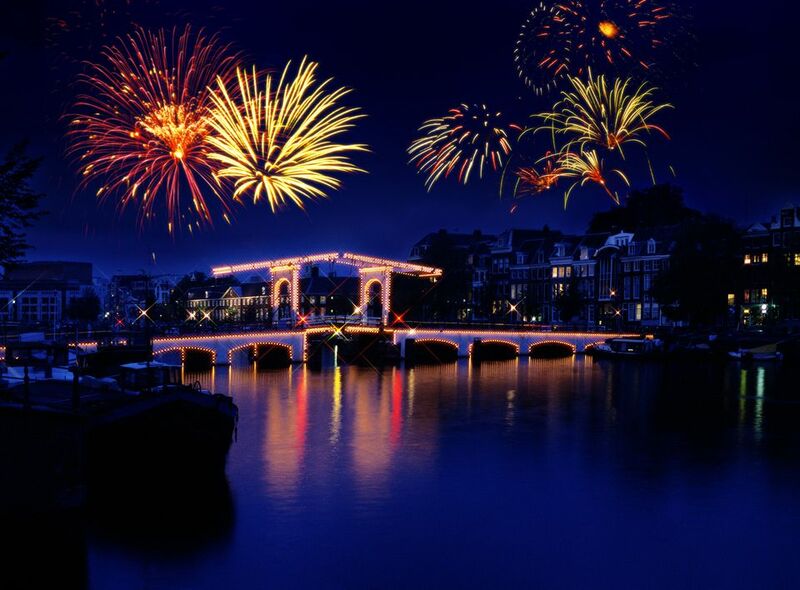 Dutch New Year (Oud en Nieuw) consists of Oudejaarsavond (New Year’s Eve) on December 31 and Nieuwjaarsdag (New Year’s Day) on January 1. The latter is a public holiday. Public holidays are few and far between in the Netherlands, so they are usually a pretty big deal. It has become traditional (for some crazy die-hards) to take a Nieuwjaarsduik at noon on New Year’s Day. This involves taking a dip in the freezing cold North Sea at Scheveningen beach in the Hague. The swimmers are rewarded with a steaming cup of Dutch winter soup, usually, a thick split pea soup with smoked sausage.